The Military Officers Association of America (MOAA) was founded in Los Angeles, CA in 1929 with the view to counsel and render assistance to all officers in matters related to their retired status. Through the years, the association broadened its objectives to work on behalf of the entire uniformed service community. After a membership vote in September 2002, the association changed its name from The Retired Officers Association (TROA) to the Military Officers Association of America (MOAA), on January 1, 2003. Why MOAA? [They] provide me with a direct voice to Congress. … My membership matters because I make the organization stronger, which makes our voice stronger. -1st Lt, ARNG. Learn more in this video. Six out of ten retired officers belong to MOAA, as do more than 30,000 active duty officers. Today, with about 370,000 members, MOAA is the nation’s largest military officer’s association and the main force among veterans’ groups in lobbying Congress to protect military retirement and survivor benefits. 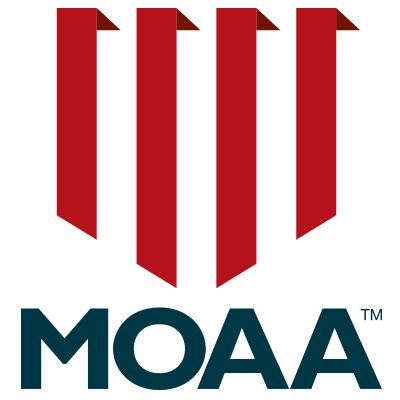 MOAA is an independent, nonprofit organization operated exclusively to benefit members of the uniformed services, their families, ad survivors. MOAA is dedicated to preserving their entitlements and to maintain a strong defense. The Arizona Council of Chapters MOAA is the State entity which provides support and assistance to member chapters of Arizona. Arizona Council of Chapters – The Council of Chapters is the umbrella leadership organization for the Chapters in Arizona. Chapters – Arizona has 9 individual MOAA Chapters and 4 Satellite Chapters. Each chapter organizes committees to serve their community and its members.